Welcome to The Church in the Westlands website - with a very warm invitation to join us for worship or for any of our activities. If you are new to the area or want to learn more about what our churches offer then there is a "Welcome Pack" available. Just get in touch with one of the ministers via the Contact Us page who will provide you with one. 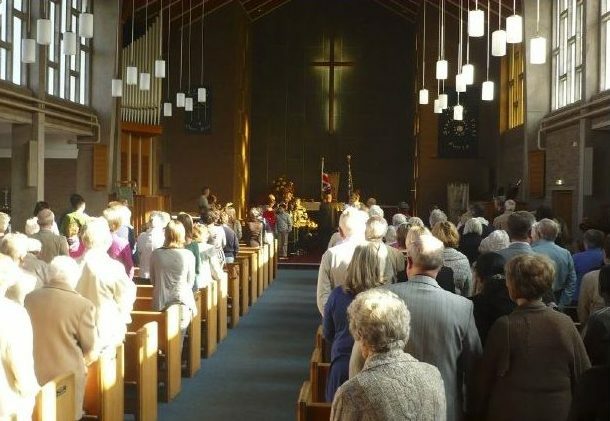 The Church in the Westlands is an ecumenical partnership between St Peter's Church (Methodist) and St Andrew's Church (Anglican). As a partnership, we are committed in the power of the Holy Spirit that our worship, service and witness will demonstrate to everyone the love of Jesus Christ. We are situated in the suburban area of the Westlands in Newcastle under Lyme, Staffordshire, UK- our buildings being sited on the north and west sides of the square at the centre of the Westlands (on Pilkington Avenue ST5 3RE).